During the press meet, Rajamouli has already announced that the next shooting schedule is going to take place in Pune. As per the latest reports, the movie unit is finally landed in Pune for that schedule. 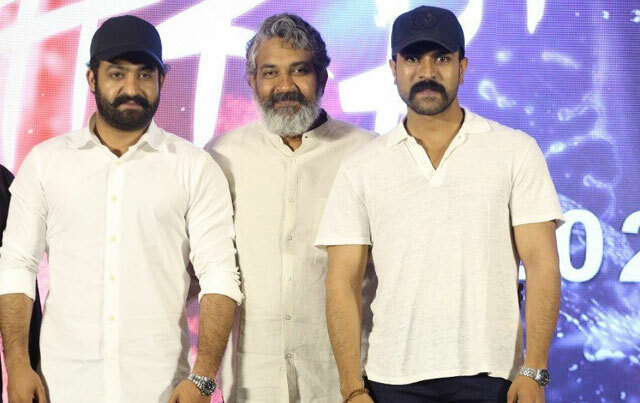 Rajamouli is already in Pune and the two star heroes NTR and Ram Charan are going to join him now. It is said that the movie unit is going to shoot some crucial episodes in Pune. The schedule is going to be 45 days long Ajay Devgan and Alia Bhatt are not going to be a part of this schedule. After shooting some scenes in Pune, the movie unit will go to Ahmedabad and will shoot some more scenes there. On the other hand, music director MM Keeravani has already started composing tunes for the film. After Pune and Ahmedabad, the movie unit is much likely to resume the shooting in Hyderabad itself. DVV Danayya under DVV Entertainments banner is bankrolling this mega budget project which is slated to hit the screens on July 30, 2020.